Show Cause Hearing - Puckett & Redford P.L.L.C. Sometimes we receive a written response from the tenant and we are not able to negotiate a feasible stipulated payment plan. In these cases, we review the response with the landlord to determine whether it is advisable to schedule a court hearing for eviction (Show Cause Hearing). We analyze the contents of the response to determine whether it is likely that the landlord will prevail at such a hearing. This may include review of maintenance logs or records of payments. We will also interview potential witnesses who may be helpful in providing evidence that will support the landlord’s claims. If we conclude that the landlord is likely to prevail, we file the lawsuit with the court and schedule the Show Cause Hearing. If we conclude that the landlord is not likely to prevail, we consult with the landlord about other options that may be available to deal with the issues involved. These options might include serving a new notice or further negotiations with the tenant. Before the Show Cause Hearing we review the facts and testimony with the landlord and prepare the necessary court papers. On the day of the hearing, we present the landlord’s case to the judge or court commissioner, cross examine the tenant and make all the arguments that are available to obtain best possible result for the landlord. We require a representative of the landlord to be at the show cause hearing, even if their testimony is not required by the Court. Too often, if the manager is not present, the tenant can simply tell the Court that they have settled the matter with the landlord and, without a member of the management to confirm or testify against that, the Court may simply dismiss the action. We believe that it is very important to fully analyze the landlord’s case before filing the lawsuit and scheduling the Show Cause Hearing. Because we operate in this manner, we are able to obtain a favorable result for the landlord at the hearing at least 95% of the time. 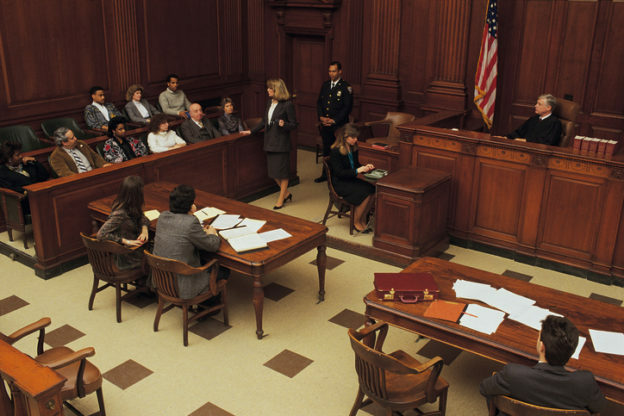 At the show cause hearing, the Court can do one of three things: first, the Court can find for the landlord and enter a judgment/order for a writ of restitution against the tenant; second, the Court can find for the tenant and dismiss the lawsuit; or third, the Court can set the matter for an expedited trial. The Court can set an eviction for trial if it finds that there are material issues of fact to be determined. An eviction trial is supposed to occur within 30 days of the date of the order setting the matter for trial. If the case is set for trial, we will ask the Court to, as a condition for going to trial, require the tenant to pay the outstanding rent or other charges into the court registry through the trial date. Our office will then work with the landlord to either find an agreeable settlement to with the tenant or prepare for trial. Trial work is done at an hourly rate instead of a flat fee.